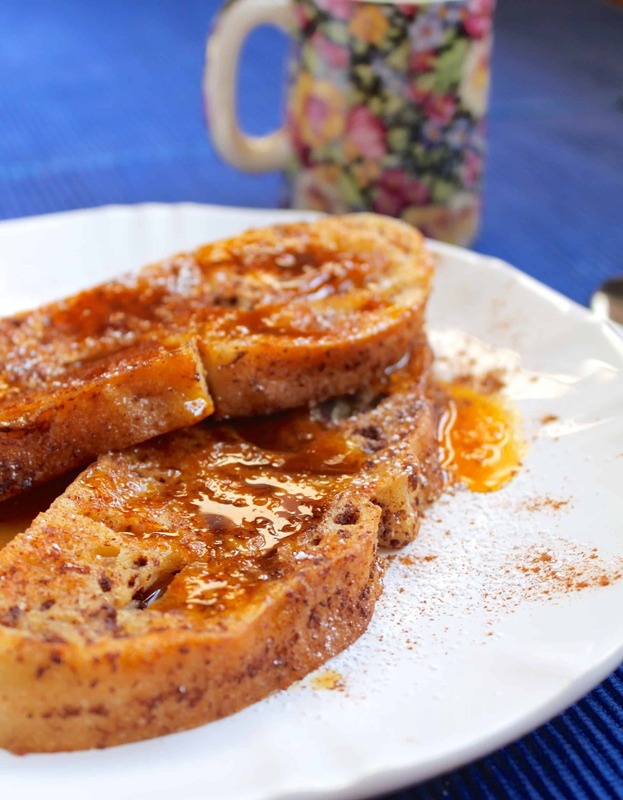 Cinnamon French Toast with Orange Sauce is a fabulous twist on French Toast. Lower sugar as it’s lightly sweetened with a fresh orange sauce, too. 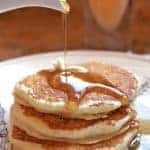 This recipe is so simple, yet with the unique orange flavored syrup and a surprising ‘crunch’, I know it’s going to be a regular in my breakfast menu rotation instead of plain French toast and maple syrup. 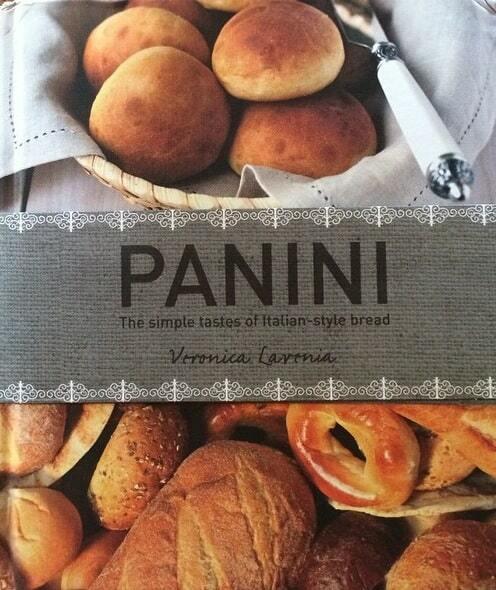 I recently received a copy of PANINI -The simple tastes of Italian-style bread by Veronica Lavenia. Needless to say, I would never write about or promote anything that I didn’t fully believe was worthy of a post on my site. So when Veronica asked me a few months ago if I’d review her book, there wasn’t a question in my mind that it would be up to my own standards. 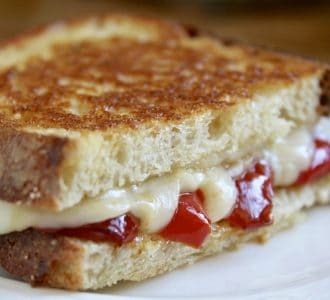 PANINI is a very simple cookbook with simple recipes, but, don’t let this mislead you. 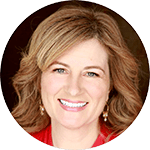 These are fabulous creations that bring together many different components of Italian cuisine: there are some classics, traditional Italian panini, and others are Veronica’s own creative combinations which still keep in line with a healthy, Mediterranean-style diet. How many different sandwiches do you make? 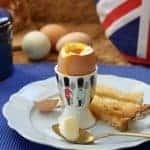 Can your repertoire use a little expansion beyond peanut butter and jelly, chicken, egg or tuna salad; ham, turkey or roast beef with mayo, lettuce, tomato, maybe even bologna or a BLT. The range of sandwiches in Veronica’s PANINI book is extensive, and what’s really lovely is that every single creation features a full page photo. How’s that for enticing you to venture out into unknown sandwich territory? I love lots of photos in cookbooks and this one hits the mark. After the introduction and discussing Italian bread, Veronica provides us with a basic bread recipe for Italian style bread and focaccia. The main part of the book is divided into four parts: Bruschetta, Panini, Tramezzini (more traditional-style sandwiches as we know them in the US) and Toast. Most recipes have minimal ingredients and are very light and fresh; you won’t find any Dagwood type sandwiches in PANINI, that’s for sure! Veronica gave me permission to share one of her fabulous creations with you, and in order to give you an idea of the scope of her book, I’ve decided to share a non-sandwich recipe (because there is more to her cookbook than just sandwiches). 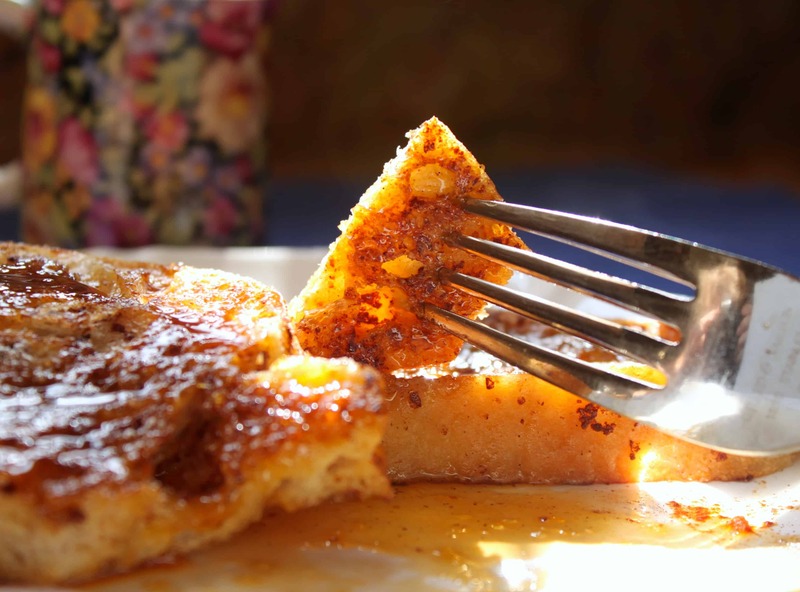 Enjoy her Cinnamon French Toast with Orange Sauce, and I know you’ll then want to order her book which is available on Amazon.com. 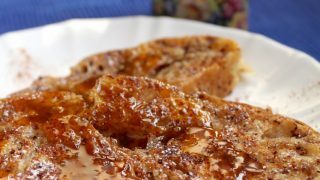 My family truly enjoyed this French toast, but one thing we really loved was the surprising crunch from the brown sugar that’s sprinkled on just before cooking! This is great for people with nut allergies as it gives the same sort of crunch as nuts would, without the nuts! Fabulous idea, and this creation could absolutely be served as dessert, as well as a breakfast or brunch dish. Place the milk, egg, cinnamon, and 1 tbsp brown sugar in a bowl and beat until well mixed and smooth. Soak the bread in the mixture (you can do this the night before if you prefer). 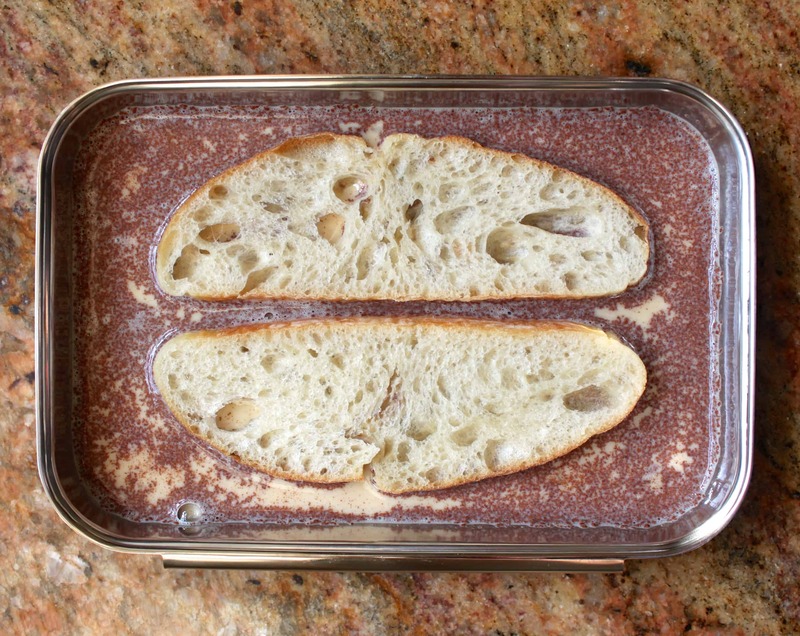 I love these trays for breading, dipping food in flour and eggs, etc. You’ll see them in many of my posts, and you can find them here. 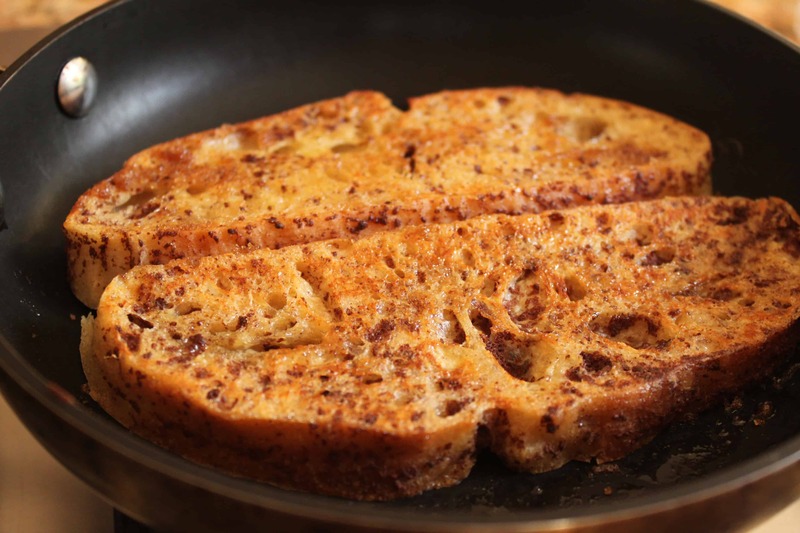 In a skillet, place the pats of butter over medium heat, then sprinkle the soaked bread with a little brown sugar and place (sugar side down) in the pan; sprinkle the top with more brown sugar (for a crispy toast). While the toast is cooking, put the orange juice, vanilla and 2 tbsp brown sugar (more or less, to taste) and bring to a boil. Reduce heat and stir until the juice has reduced to a syrup, stirring continuously so that it doesn’t stick. Pour into a small jug. 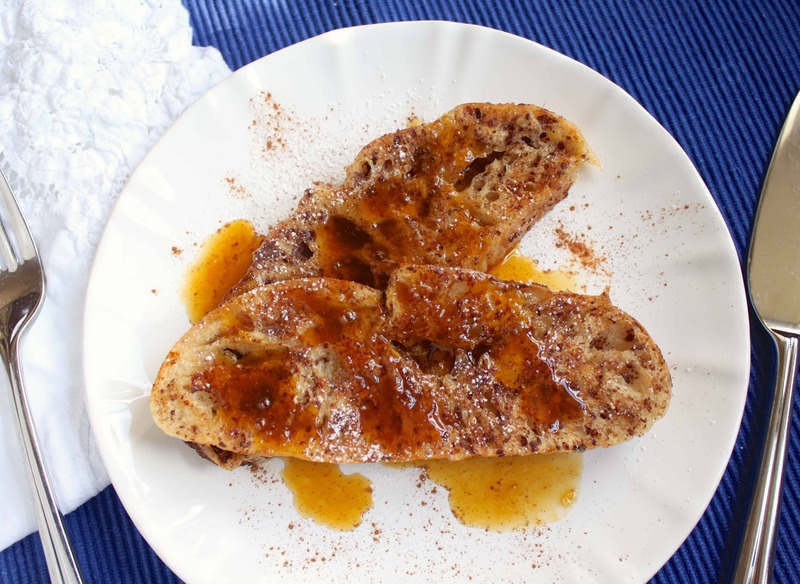 Drizzle the syrup over the Cinnamon Toast and serve hot. 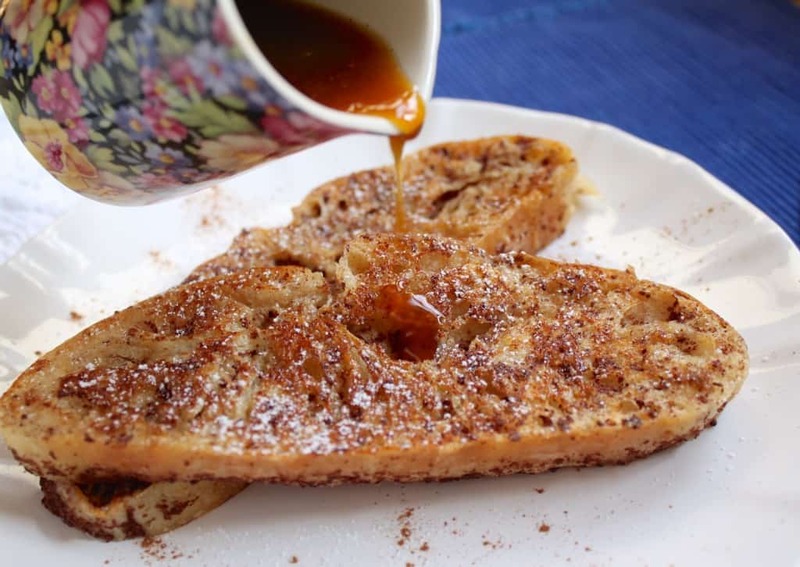 Let me know if you made and enjoyed this Cinnamon French Toast with Orange Sauce in the comments below! 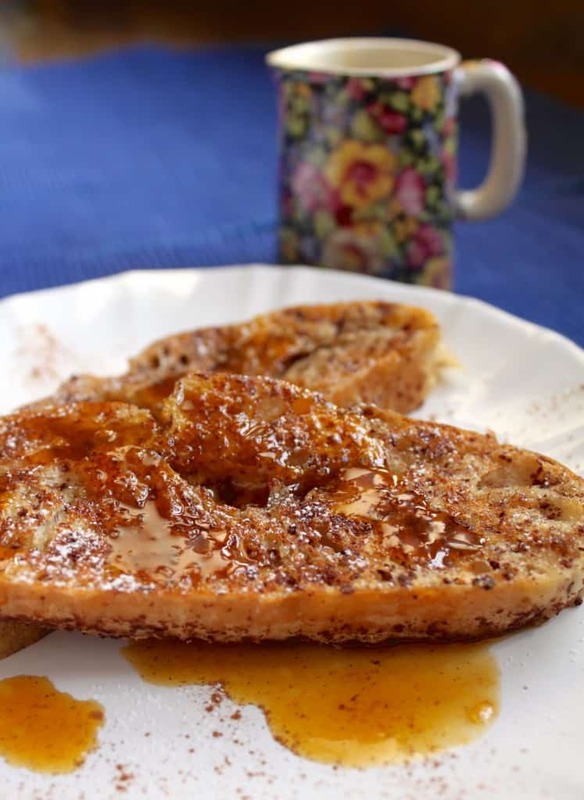 A lovely French toast recipe, flavored with orange sauce. Soak the bread in the mixture (you can do this the night before if you prefer). While the toast is cooking, put the orange juice, vanilla and 2 tbsp brown sugar (more or less, to taste) and bring to a boil. 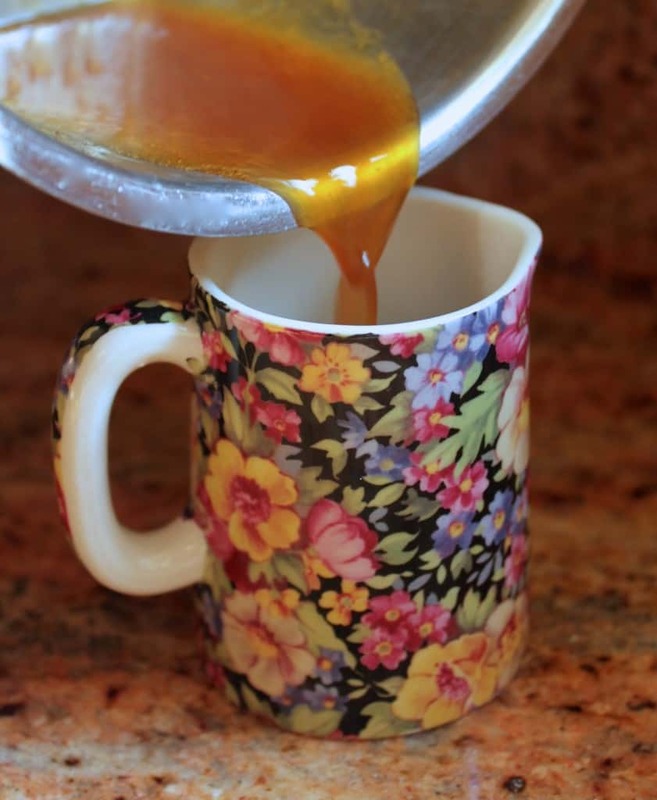 Reduce heat and stir until the juice has reduced to a syrup, stirring continuously so that it doesn't stick. Veronica’s book looks wonderful. I’m all for simple recipes that are absolutely scrumptious. 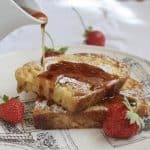 My granny used to make us a cinnamon toast very like this for breakfast but what a super, classy idea with the fresh orange sauce to accompany it. 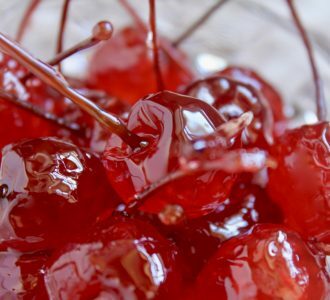 This definitely makes it extra special and could easily be served as a dessert. Great inspiration! Your photos are stunning as ever, Christina you temptress! 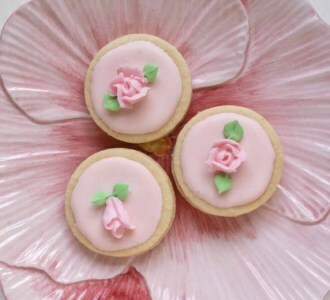 I know the rosettes you are referring to, they are empty inside, right? I LOVE those things, but we’d have to sneak them into the house when we’d buy them in Italy because Nonno would get mad if he saw them. Why? We were wasting our money, buying bread that was empty inside wasn’t good value! 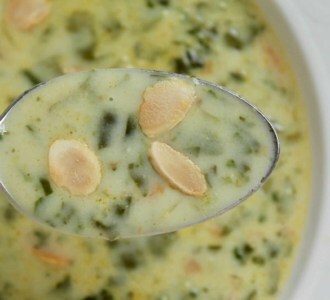 :) I will try to find a recipe when I go to Italy, for you and me, both! Breakfast is my favorite meal of the day and I loved imagining sprinkling the brown sugar onto my french toast right before making it. Classing up one of my favorite easy breakfasts! I haven’t had French toast in years. 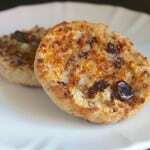 This recipe has motivated me into breakfast action. Looks wonderful. Thank you, Cristina! I do like that shot myself! If you love Italian food, you’d really get a lot out of this book. It will teach you about the simplicity of good, healthy food and inspire you to make so many different new sandwiches and snacks! This is really making me hungry. I can taste the orange! Oh this looks so amazing! I definitely need to try it! 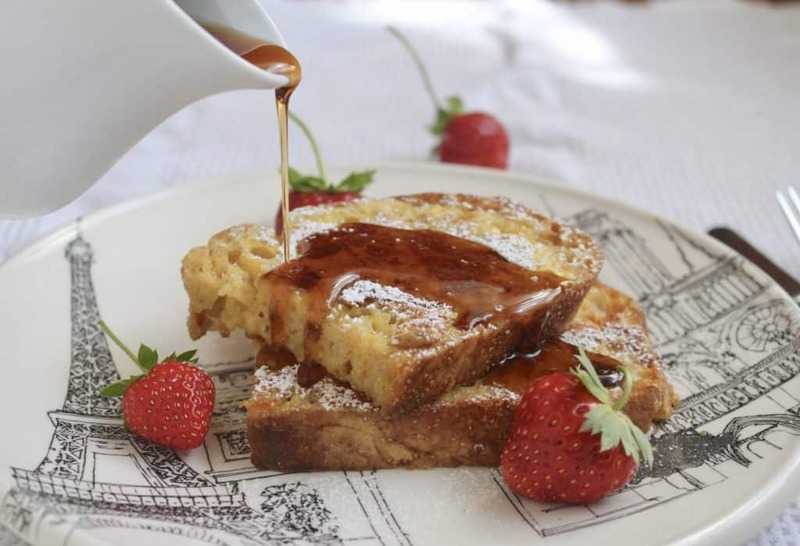 This French, err, Italian toast looks divine! 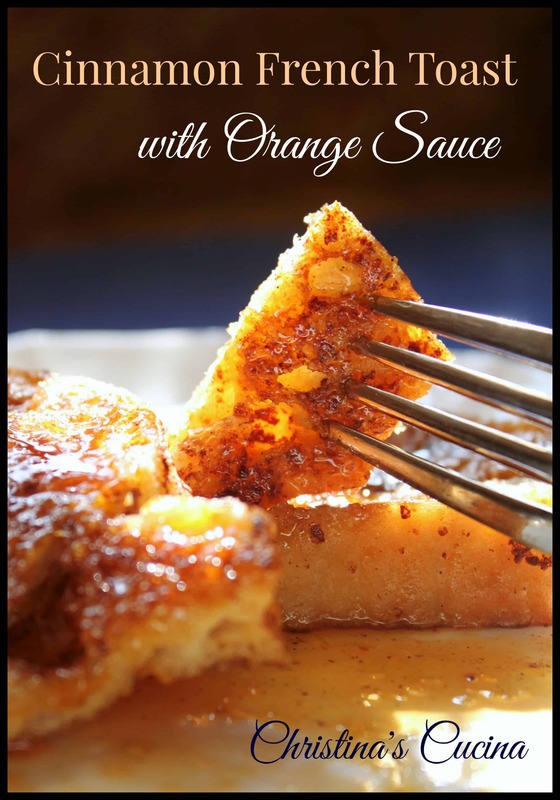 The orange sauce sounds delious and so simple! 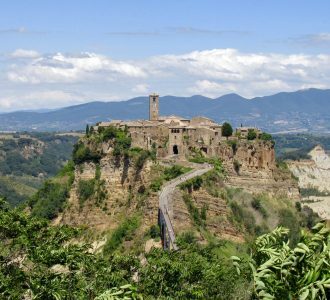 grazie mille for your beautiful post and the stunning pictures. I had no doubt about your ability to captivate with words. 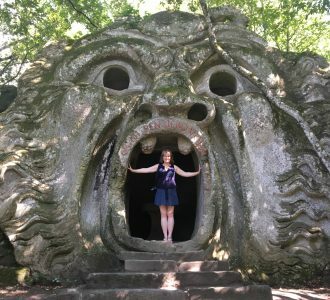 I’m honored and flattered because this isn’t “just” a review: in this post there is all the passion of those who love to write and cook; there is the knowledge of the true Italian cuisine and culture; the “heart”, typical of us women that we find in the kitchen all the energy to take care of people we love. I’ll wait for you in Sicily but we hope to see elsewhere in Italy.